My first exhibit and a free workshop! So stoked for my very first public exhibit! 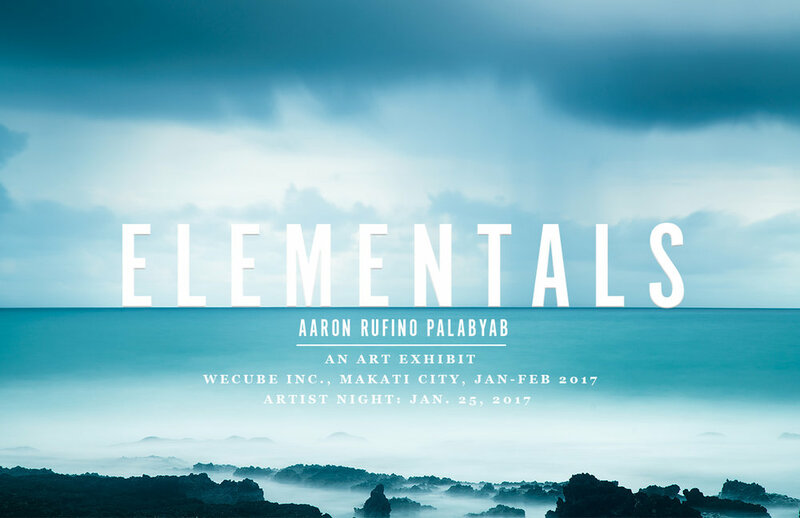 Check out my mini-exhibit featuring my Elementals series, which recently received an Honorable Mention in the Tokyo International Foto Awards 2016 under the Professional Fine Art Landscape Category. It will begin on Monday, Jan. 16, 2017 and run until the end of February. The venue is WeCube Inc., 4th Floor, Coherco Corporate Center Bldg., 116 V.A. Rufino St, Makati. I will also be displaying a number of large format metal prints from my "Becoming" series that I'm very excited to finally share with the public. My artist night will be on Jan. 25, 2017. Online invitations will be sent out by and by. This event is open to all, free of charge. NOTE: The metal prints are on display in the lobby and are available for viewing any time. However, the "Elementals" pieces are housed in a room that is sometimes booked privately. To be certain you'll be able to view them, contact WeCube Inc. in advance of your visit at 750 8806 or hello@wecube.ph. Sign up now for the Gear on the Go Workshop! I'll also be doing my first free workshop during the exhibit! Come sign up for Gear on the Go: Case Studies in Shooting While Traveling to be held on Jan. 21, 2017, 1:00pm-4:00pm, at WeCube Inc. (same venue as above). Slots are limited so you must sign up to guarantee a slot. This workshop will be free of charge and I will also be announcing details and taking signups of upcoming out-of-town photo workshops then as well. Hope to see you there! Today I'm doing a quick review on the MeFoto Sidekick 360, which I just stumbled on in Samy's Camera in San Francisco. Doing a lot of smartphone photography content lately, using a cheap smartphone adapter has just been a pain: they're impossible to level on a Gorillapod, not usable in portrait orientation, and are just poorly built. The Sidekick 360 makes setup and leveling a breeze and its Arca Swiss compatible base means you don't even need a tripod plate to use it - no fiddling with screws! Watch the video above for more info. The MeFoto Sidekick 360 retails for $30 and the larger Sidekick 360 Plus retails for $35. For buyers from the Philippines, find it on Lazada here (affiliate link). Totally socked in... But it made for unique visuals! Part 3 of 4 of my Photo Diary of a visit to Colorado Springs in August 2016. For part 2, where I visit the Colorado Springs Fine Arts Center, click here. Going up the summit of Pike's Peak, the highest summit of the southern Front Range of the Rocky Mountains of North America at 14,115 feet, was high on my list of priorities for visiting Colorado Springs. While I originally wanted to climb it via the Barr Trail, with its 8000 feet of elevation gain over just 13 miles, there wasn't enough time, so I opted to take the Pike's Peak Cog Railway. Given the way the weather was, it turned out to be the right decision! I was pretty stoked to be visiting Colorado for the very first time, even though I was just there for barely a week. While I regularly visit the US, I usually stay on the coasts (California, mostly), and it was my first time to go inside, as it were. 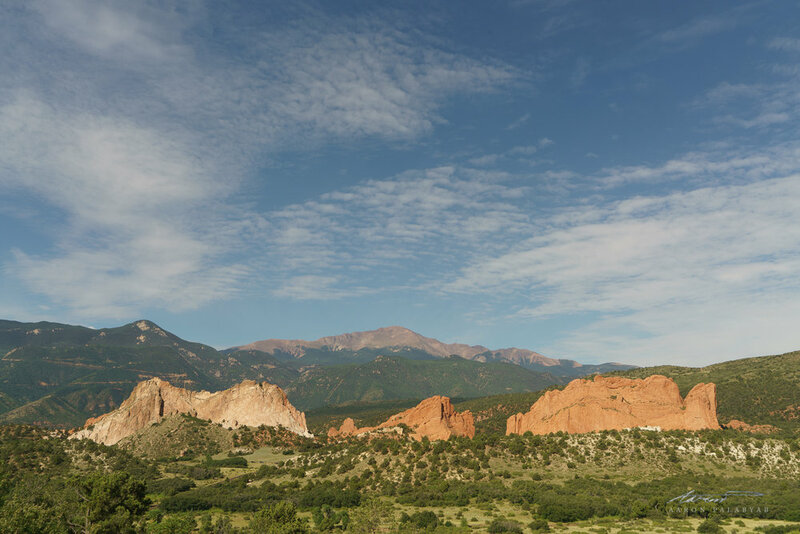 Being a lover of looking at big mountains, Colorado was the perfect first destination --- specifically, Colorado Springs.